4339 N Ocotillo Canyon Drive listed at $379,900 by Long Realty Company is under contract. 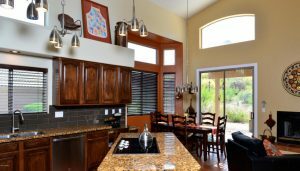 This slightly over 2,700 square foot, two-story home has such upgrades as granite counter-tops and outdoor BBQ. The floorplan has two bedrooms downstairs and three bedrooms (including the master bedroom) upstairs. It last sold in 2013 for $335,900 as a foreclosure; since that time the Sellers put various upgrades into the home. 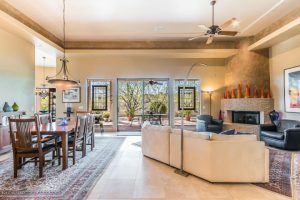 If you are interested in viewing homes for sale in beautiful Sabino Mountain or are thinking of selling your Sabino Mountain home, contact me at Donna@DonnaAnderson.com or call me at 520-615-2598. Sabino Mountain owners do not pay for subscription fire to Rural-Metro. As of a few years ago Sabino Mountain owners are part of the Hidden Valley Fire District and therefore their fire coverage is included in the yearly property taxes and is tax deductible. 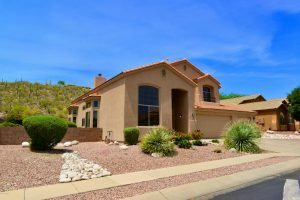 Most of the homes in the Catalina Foothills have to pay for fire coverage as a subscription service and therefore, Sabino Mountain is in a better situation. For instance– owners of a 3,500 square foot home were paying about $700 in annual fire subscription costs; now it is included in the property taxes and although as a result the property taxes went up, it usually went up less than the fire subscription costs and unlike before the cost of fire coverage is tax deductible. I still see some listing agents put this fire coverage information incorrectly in the listing to the owners’ detriment. 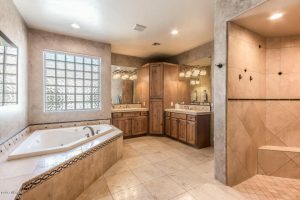 Beautiful Home on Quail Canyon Already Under Contract in 3 Day’s Time! 4181 N Quail Canyon Drive has been listed for sale by Realty Executives Tucson Elite for 800K and was put under contract in 3 day’s time! The price range from 800K – 900K is really moving more quickly than last year. 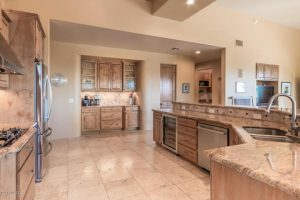 This 3,170 square foot ridge-top home is sited on .76 of an acre and boasts both sparkling city lights and high Catalina Mountain views. You are currently browsing the Sabino Mountain Blog blog archives for October, 2017.